So novelty aside, taste wise is was pretty good. The cheese was soooo stringy; the string of cheese wouldn't stop stretching from the tip of your mouth to the cone itself. The more you pulled, the longer the piece of cheese became. For me a good pizza is created with a very simple equation: Stringy cheese + loads of sauce + lots of flavour = awesome pizza. One of the best bits was also the end of the cone just like eating the end of a cornetto. Note for next time: Rip the bottom part off and dip it into some sauce. As good as the spicy mexican was, the smoked chicken only had one piece of chicken in it which was a bit of a shame. The other downside is that their menu wasn't that extensive as there were only about 5 or so flavours to choose from so I am hoping they may release more new flavours as they grow. That does seem like incredible value. You don't get much for that kind of money usually. I think you've stumbled upon something fabulous. Hi Hotly Spiced - Thanks! I was surprisingly slightly full from it. Yum they look and sound amazing! I doubt Brissy would have anything even remotely like this so I might attempt to make these one day hehe :) They look delicious! 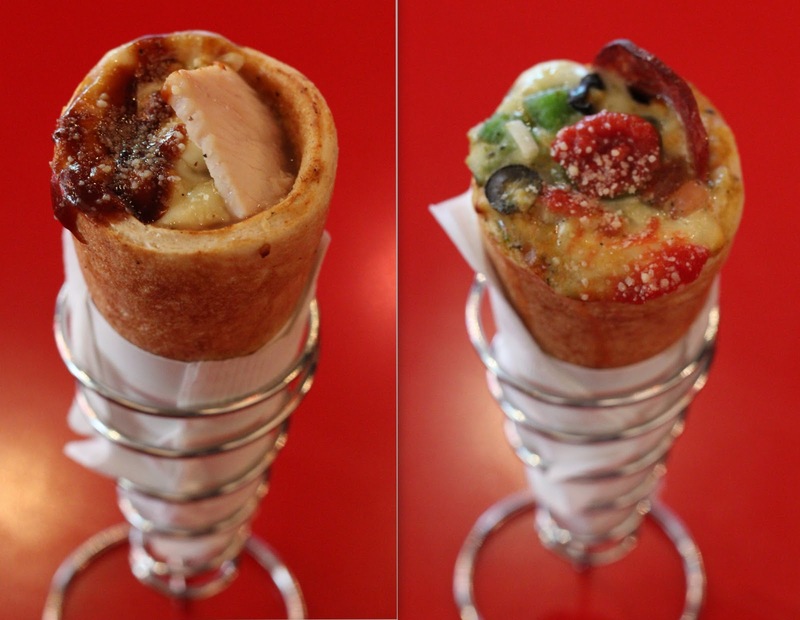 pizza in a cone!!! such novelty. $12 for a package is a bargain! HI Sugapuffi - I always heart almost every food novelty out there! 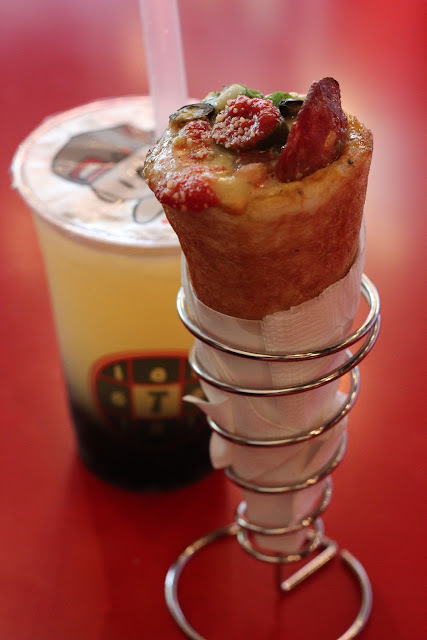 hmm i saw this at hurstville shopping centre last wk but wasn't convinced the try it; is it literally a slice of pizza rolled up? Or a cone with things stuffed in? Hi Vivian - The cone is similar to the pizza pastry but it is actually a proper cone with things stuffed in it. I seriously want to try cone pizza! I haven't as Parramatta is just so far away. Saw Vivian's comment above and think i will be running up the road to Hurstville to give it a go. Hi Sara - Hopefully if the concept works, they will open up more places in the future! We are yet to try this but it's definitely right up our alley in the west side! Looks great!